This is a Mountain Bike Cross Country plan for a 12 week Base Phase before a mountain bike race season. This plan has strength and endurance workouts to build up the body in preparation for the demands of cross country mountain bike racing. This plan uses power and heart rate zones for interval training. Also included is a lot of workouts for recovery. The focus is building strength and endurance. Email me at steve@warpspeedcoaching.com with any questions or comments. Check out warpspeedcoaching.com for tips and relevant blog posts. Use the endurance workout file attached to here on the paperclip icon on the top right. Ride with heart rate in zone 1-2. Include 3 sets of 5 jumps at CP0.2--10-12 revs of cranks out of saddle. 1 minute recovery between jumps, 5-6 minute recovery between sets. Do a long endurance ride here. Most of this should be in Zone 2 (Aerobic), but you can warm up and cool down in zone 1 and do some Zone 3 (Tempo) efforts. Coaching to help endurance athletes reach peak performance. 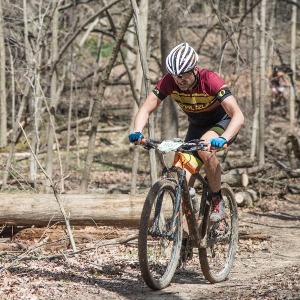 I am a USA Cycling Level 3 certified coach, and I specialize in mountain biking, but I also coach running, trail running, road cycling, triathlon and cyclocross. I can coach diabetic endurance athletes. As a type 1 diabetic, I know diabetics have their own individual struggles and I can help maximize results while taking into account an individual's issues using training, diet, and recovery.